Right now, there are so many articles both offline and online giving false information about the benefits of smoking marijuana, talking about how it helps creativity and all, but what they all fail to mention is that the cons of smoking weed are far greater than the pro’s. Here are the top 7 reasons why you should run away from marijuana. Paranoia, a natural thought process that all humans will experience at one time or another, is often experienced by heavy smokers more often than non smokers. This is because weed contains substances that directly affect the area of the brain that regulates the fight-or-flight response. Excessive suspicion of others, feelings of anxiety and fear, extreme thoughts of delusion, violence and irrationality etc are among the things paranoia is responsible for. Studies conducted by Researchers in the Department of Psychiatry at Columbia University have found out that heavy smokers of marijuana could have a compromised dopamine system. They discovered lower dopamine release in one region of their (smokers) brain, the striatum, which is the part of the brain that’s involved in working memory, impulsive behaviour, and attention. As with so many other bad habits, smoking is a vice, and many people – especially heavy smokers- who smoke weed on a regular basis find it very difficult to stop the habit, solely because of its addictive nature. Many people don’t know this, but Marijuana produces more health problems than people realize. Aside from the devastating lung problems, marijuana can also cause temporary sterility, birth defects, loss of weight, mental abnormalities and increased risk of leukemia in children. Weed smokers suffer from lots of mental issues, this is a fact.. Several studies have linked marijuana use to increased risk for psychiatric disorders, including psychosis (schizophrenia), depression, anxiety, and substance use disorders. 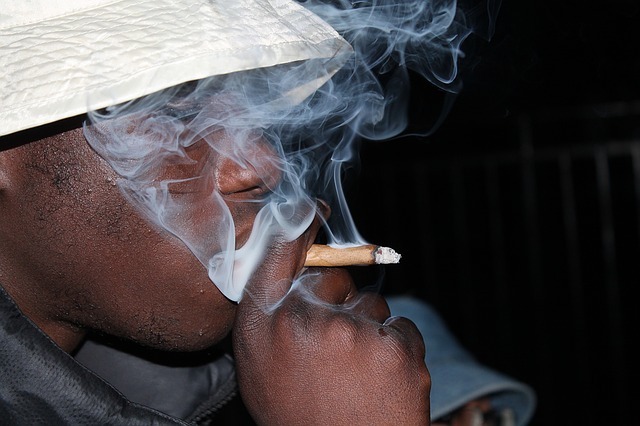 Weed smokers have a penchant for holding smoke in before exhaling to get the full highess, the smoke inhaled can cause problems like obstructed airways and hyperinflation of the lungs. The lack of filters on marijuana joints also contributes to lung problems, according to researchers. The law in most countries currently sees marijuana as an illegal drug and they have a reason; it’s because it’s a harmful substance. So Whether you use it or sell it, you’ll be arrested if you get caught with it.